International seafood buyers are scheduled to visit Unalaska this month, but they don’t hail from a massive importer like China or Japan. They’re coming from Ukraine — a once-modest market for Alaska fish that’s slowly reemerging after political upheaval and economic crisis. In 2013, Ukraine spent $105 million on American seafood — a record for the Eastern European nation that loves hake, pollock and salmon roe. But two years later, those imports had plummeted almost 70 percent as the Ukrainian government was overthrown and parts of its land occupied by Russia. Today, the country’s political conflicts are ongoing, but inflation and income have stabilized enough that foreign fish is back on the menu. “The Ukrainian market is a growing market for U.S. seafood exports, and therefore it makes sense for Alaska to be part of that presence,” said Jeremy Woodrow of the Alaska Seafood Marketing Institute. Woodrow said the institute is organizing the Ukrainian visit to rebuild trade relationships that’ll hopefully pay off down the road. 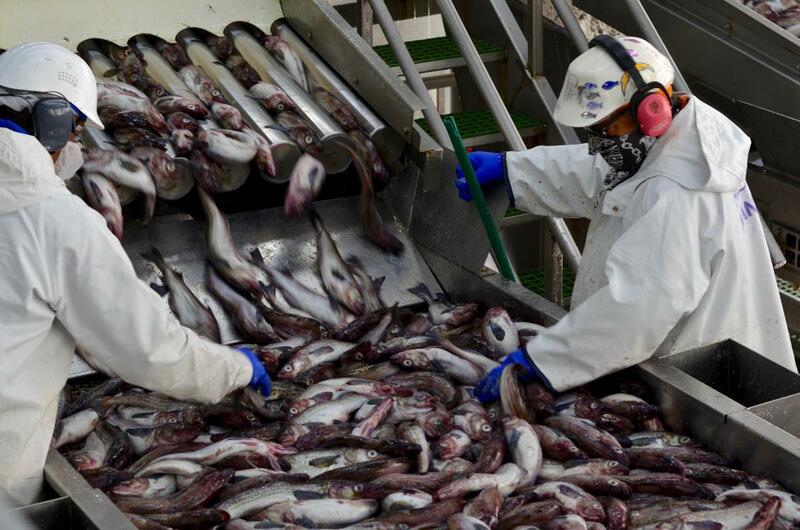 Woodrow said the six Ukrainian delegates represent companies that are eager to connect with Alaska seafood suppliers. They’ll tour processing plants and fishing boats in Unalaska before making stops in Juneau and Seattle. While the delegates develop contacts in Alaska, Woodrow said Ukraine’s political landscape shouldn’t present any new obstacles. He doesn’t expect anything like the new tariffs levied by China. And in fact, he said an ongoing Russian embargo on American food is only boosting interest in Alaska fish. The Ukrainian delegation will be in Unalaska on July 22-25, then head to Juneau and Seattle at the very end of the month.